It’s been nine years since I wrote the first Nameless Dwarf story, a short story called The Ant-Man of Malfen. Ant-Man was accepted for publication in volume five of Pulp Empire, and from then on in I began to receive emails asking for more. 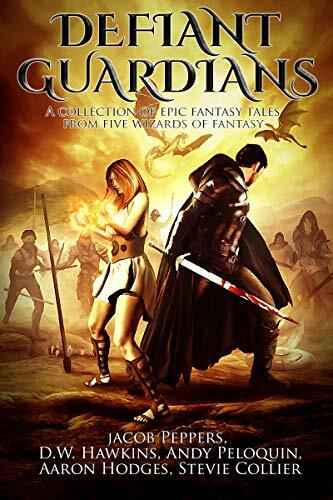 The first five Nameless Dwarf novellas I subsequently wrote were published together in an omnibus edition, Chronicles of the Nameless Dwarf in 2012 and went on to become an international bestseller as an indie publication. I followed up the novellas with a full-length novel, Return of the Dwarf Lords. Later, when I was taken on by an agency, I was asked to complete the Nameless Dwarf story arc from origins to the end of Return of the Dwarf Lords. That was a major task, especially because Nameless’ story had become intertwined with that of another of my fantasy heroes, Deacon Shader. Eventually it was done and we pitched the series, which is where it started to go wrong. We made the decision to pitch book 2 first, Geas of the Black Axe, so that the reader would work through the series without knowing the hero’s name, until at last they read the origins story, which I had penned as book 1. That made for a hard start to the series for the reader, and a fair bit of back story, which is never a good thing. Further, publishers started to tell us that dwarves simply wouldn’t sell. We didn’t bother leaving it in the hands of publishers after hearing that, and so I self-published the series as Legends of the Nameless Dwarf. The series went on to sell more than 600,000 copies and made a small fortune. It was then produced as an audiobook and sold incredibly well in that format too. But then bad reviews started to appear on Audible.com. A lot of listeners, it seemed, did not like the narration. 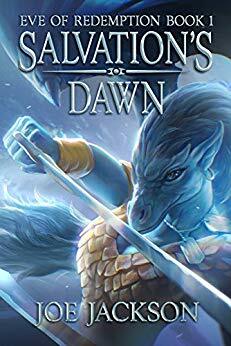 I ignored the issue for a while, but when those negative reviews complaining about the narration started to crop up on Amazon as well, I figured it was time to do something about it. Personally, I liked the narrator’s voice, but what I like isn’t important when sales start to die. After some initial enquiries, we found that audiobook publishers were willing to take a look at rebooting the series with a different narrator, based on the strength of previous sales. It wasn’t much, but it was a start. I decided to take the opportunity to give the series a much needed revision. There had been a mad rush to meet deadlines when I wrote books one and two, and I was never fully satisfied with the cohesion of the narrative as a whole. And so I started to re-read and make small changes, then the small changes became large ones, and before I knew it I was neck-deep in a total re-write. Scenes were axed (characters too); scenes were added. Big words were ditched in favor of simpler ones. Names were changed, again to make them easier for the reader. Whole passages of prose were trimmed, and many thousands of words were cut. The result: a much faster, more succinct, and focused read. It’s not only improved the series, but in essence it has created something new. The structure has also been altered: there are currently six novels now, varying in length between 75,000 and 90,000 words. I have already started writing book 7. Book 8 is planned, and book 9 is already written but requires some substantial revision. In short, once we settle upon the right publisher, the entire Nameless Dwarf story arc, from birth to… well, to the end, will be released in print, ebook, and audio formats, probably at intervals of three months. I’m hoping to have some news on that front very soon. Other news: Inspired by the re-boot of the Nameless Dwarf stories, I have decided to take down the Shader books from sale and resume the massive rewrite I started a few years ago (under the then title of Templum Knight). Expect some even bigger changes here… some of which might be quite shocking. While it’s strange to be slowly taking down Nameless Dwarf and Shader titles from sale, this is only a temporary measure, and soon both stories will return, better than before, and with far wider distribution. And yes, I’m still writing a bunch of new stuff as well! Please share your thoughts in the comments below or email me at derekpprior[at]gmail.com if you have any questions about the reboot. 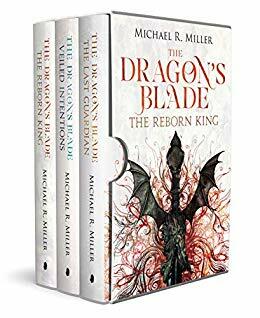 THE DRAGON’S BLADE is an epic redemption story about an arrogant prince of dragons who is reborn, raised by humans instead, and must learn to be the king that his past-self never could be. A fast-paced series, perfect for fans of Phil Tucker, David Estes and Brandon Sanderson. 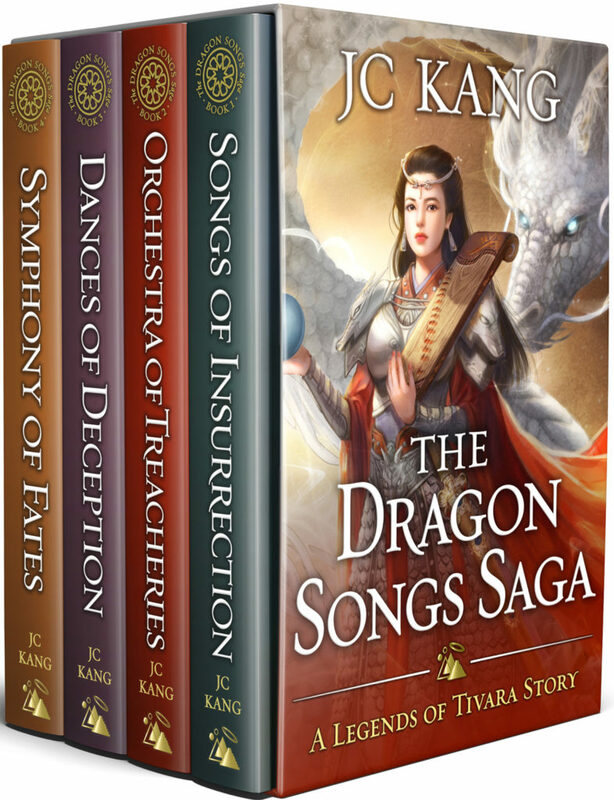 The Dragon Singers of old summoned typhoons and routed armies, liberating mankind from the orcs before fading into legend. Now, with the world again teetering on the brink of a cataclysm, the power of music stirs in Kaiya, a gangly misfit with the perfect voice. Because invoking a Dragon Song can kill you.